“She Notice Me” is the latest to leak. Over the weekend, a previously-unheard Young Thug tune titled "She Notice Me" appeared online. The track has some of the same soft, gauzy textures that Thug favored on his Barter 6 tape. Gentle backing vocals drift through the background. 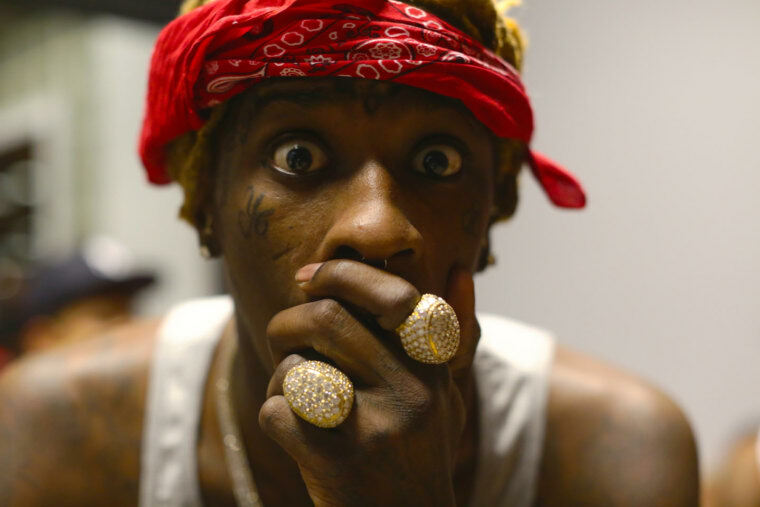 Listen here, and revisit Thug's FADER cover story.